I am thankful to have two happy, healthy daughters. The only reason either of them spent time in hospital is thanks to a robust sense of adventure and competitiveness, landing us in the E.R. a few times. However, I grew up familiar with a 24-inch-long, keloided scar that ran the length of my dad’s upper leg, from his hip to his knee. It was the result of childhood soft tissue sarcoma that was deeply-embedded in muscle, tendons and veins. My dad spent time in hospital, while doctors and nurses removed all traces of the malignant cancer. The scar didn’t scare me, and my dad was happy to answer any questions we kids had about it, because, he taught us, cancer can strike anyone at any time, even little kids. 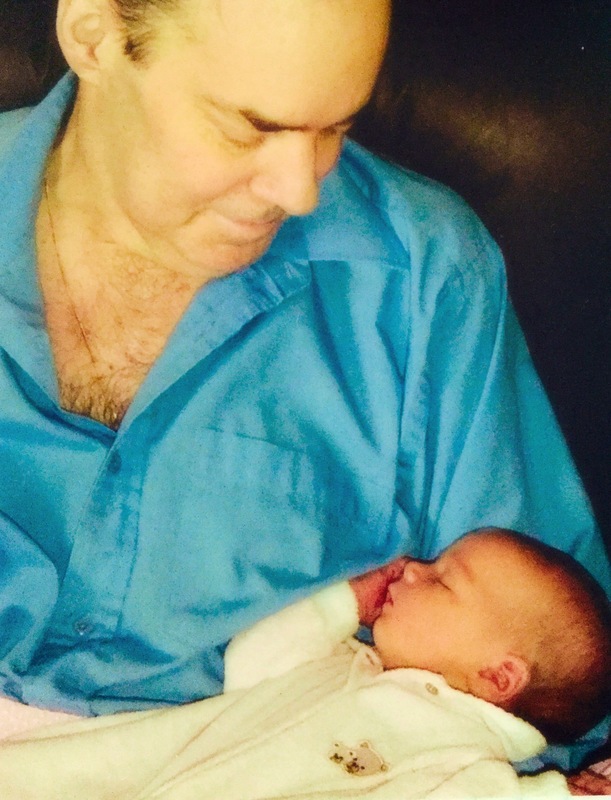 My daughter Alexandra, my dad’s first grandchild, was much more empathetic than I was. I remember her feeling very sad, seeing my dad’s scar, instantly imagining him as a young child, sick in hospital. My dad assured Alex that hospitals that specialize in caring for children are the most amazing places, and kids there feel happy, very well-cared-for, safe, and loved. My dad had a gentle, reassuring nature, especially with my daughter, and she was satisfied with his answer. My dad’s experience with cancer, and his love for children made him a lifelong SickKids Foundation supporter. 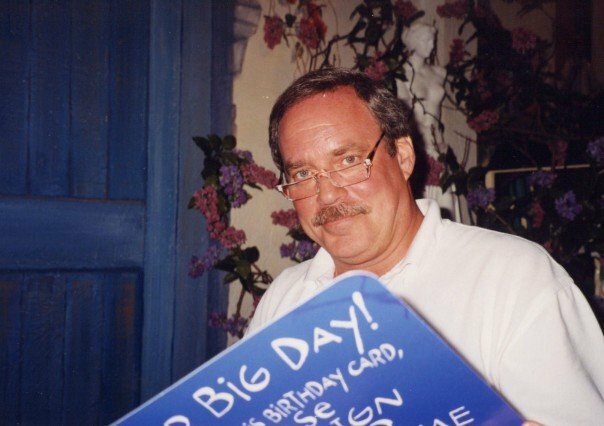 A philanthropic, and fun-loving man who adored his kids, nieces, nephews and grandkids, my dad enthusiastically donated to SickKids Foundation so that little ones, at their most fragile, during their most vulnerable time, could be properly cared-for by “The Best of the Best”, he’d say. A couple months after my dad turned 50, cancer once again found its way to him, by way of a brain tumour which would have killed him if they didn’t do what they could to remove it. He suffered many complications from the surgery, and spent 4 months in hospital in intensive & critical care, in and out of a coma. When he finally returned home, he was only a shell of his former self, the surgery having jostled too many things around in his brain, and the dreaded cancer still progressing. Still, my dad’s affinity for SickKids never wavered, as he watched episodes of Little Miracles on TV in between radiation treatments. Seeing children facing illness, adversity, and uncertainty with such bravery inspired him. 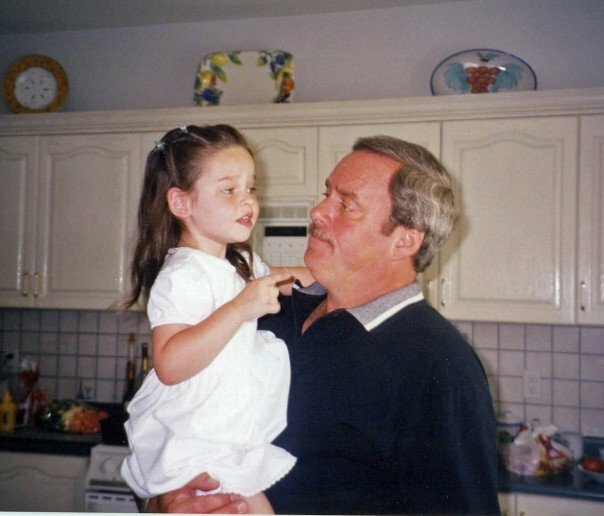 My dad’s cancer progressed slowly over 4 years, until I was pregnant with his second grandchild. Through the last half of my pregnancy, he took a turn for the worse and was bedridden, cared-for at home by my mother and home care nurses. He needed round-the-clock care. When I gave birth to my daughter Katherine, I moved in, since I was on maternity leave, so I could help my mother care for him. I wanted to be near my dad in his final moments. My dad was 54 years young. I can hardly believe this is the same man, a mere 4 years after his big 5-0. He passed shortly after this pic. I’ll never forget the moment my father passed away, because I was in the bedroom right next door, nursing my not-yet 2-months-old baby girl. I was rocking her as she fed, softly singing to her, when I heard my mother wail the most terrifying cry. Immediately, I knew my dad had passed on. But never did I break from song or take my eyes off my baby’s sweet gaze. I continued to smile, sing to, and nurse her, because I was a mom. But the tears silently rolled down my cheeks. 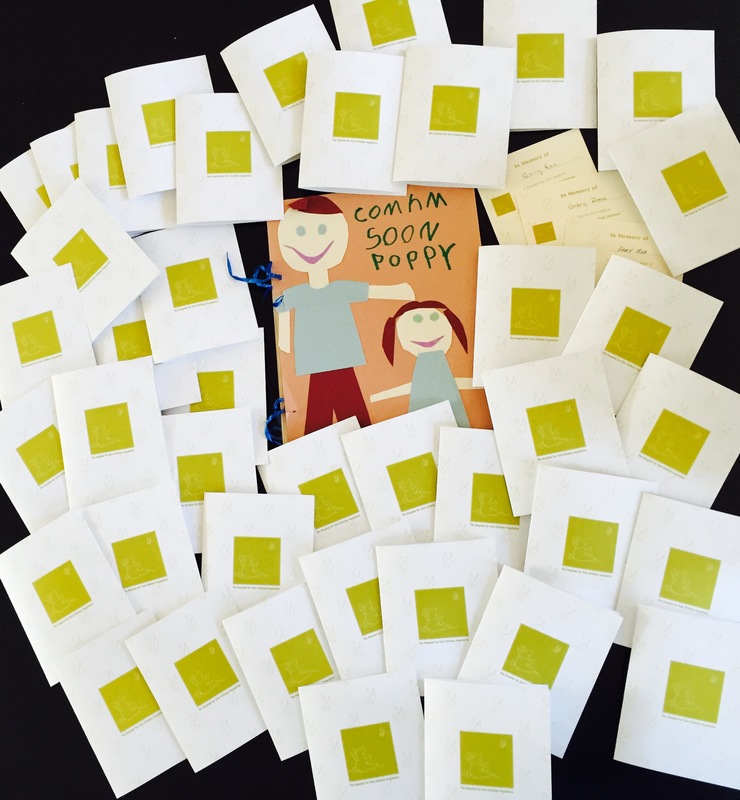 The book of memories a young Alex made asking him to “Come Hm Soon Poppy!”, and the many donations made in my father’s name to SickKids Foundation at his passing. While we may never understand why children are stricken with illness or are born (or become) otherwise medically-fragile, it helps knowing there are hospitals, organizations, communities and foundations of people who truly care and who work each and every day to make a positive difference in their lives. My dad’s experience at a children’s hospital certainly coloured his outlook on life, love, and family, and I am so proud to continue his legacy, adopting SickKids Foundation as “my” charity, too. I hope no one in my family ever needs SickKids, but if they do, boy am I glad SickKids is there. I was so touched to see donations pour in, in my father’s memory, in support of his beloved SickKids Foundation at the time of his death and on its anniversary. This weekend, families just like yours and mine – some with personal connections to SickKids Hospital, and others who simply appreciate all that SickKids does – will be walking in support of SickKids Foundation, in the Canaccord Genuity Great Camp Adventure Walk for SickKids. Please consider showing your support by donating to this amazing, caring organization. You can click here to donate in support of the #WalkForSickKids, or click here for other ways to show your support. Disclosure: SickKids Foundation is a client of my employer Influence Central Canada. Tags: change, death, elder daughter, family, younger daughter | Permalink.